In 1979, Tom Petty and the Heartbreakers have been crafting professional, appealing straight-ahead rock for three years without wowing the masses. But the band reached its peak when the rootsy Petty finally accommodated the Heartbreakers' need to kick the sound up from classic rock to modern. It's no coincidence that Damn the Torpedoes was released in a year crucial to punk and New Wave's explosion into the mainstream. 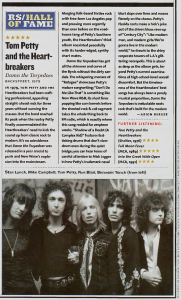 Merging folk-based Sixties rock with free-form Los Angeles pop and pressing more urgently than ever before on the roadhouse tang of Petty's Southern youth, the Heartbreakers' third album coexisted peacefully with its harder-edged, synthy chart mates. Damn the Torpedoes has got all the shimmer and curve of the Byrds without the dirty sandals. The whispering menace of "Refugee" showcases Petty's mature songwriting; "Don't Do Me Like That" is something like New Wave R&B, its short lines popping like corn kernels before the shouted rock & roll segment takes the whole thing back to FM radio, which is exactly where this song resided for umpteen weeks. "Shadow of a Doubt (A Complex Kid)" features fast-ticking drums that don't slow down even during the quiet bridge; you can hear hours of careful attention to Mick Jagger in how Petty's trademark nasal blurt slops over lines and moans fiercely on the chorus. Petty's Florida roots make a hick's joke out of the driven blues rave-up of "Century City" "Like modern men, and modern girls/We're gonna live in the modern world," he drawls to the shiny corporate towers of L.A.'s glittering necropolis. This is about as deep as the album gets, beyond Petty's earnest examinations of high-school-level sexual discomfort. 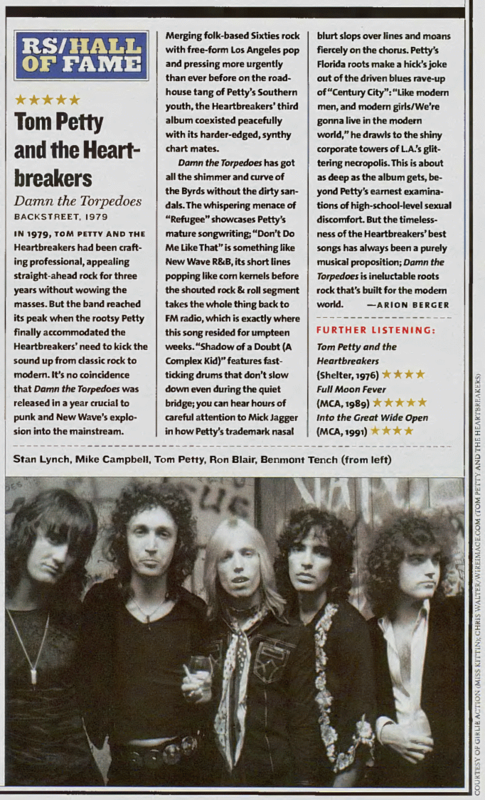 But the timelessness of the Heartbreakers' best songs has always been a purely musical proposition; Damn the Torpedoes is ineluctable roots rock that's built for the modern world.